"DSP platforms that doesn't require a high sign up fee or commitment "
I used Choozle for almost a year. Signed up to target companies and job titles in the logistics industry. Choozle platform allowed me to create the remarketing, intent targeting ('on the market' buyers), and audience matching options. My bounce rate was slightly high but still, I was able to reach the audience that is not available in other ad platforms like Linkedin. Also, no sign-up fee or commitment. I was able to stop or pause at any time. Currently paused the account and can come back at any time. Sometimes very slow when creating a new ad campaign and uploading the creatives. Takes a while to do a simple task and simply move to the next screen. Need to speed up their platform. The biggest challenge in the DSP / programmatic advertising industry, the companies are charging $20,000 - $50,000 and even more to use their platforms. Choozle allows using the product on a pay-as-you-go basis. "Impressive self-service programmatic, but not for small teams"
This is not an ad strategy for teams/companies with shoestring budgets. We were unimpressed by any of the results, and Choozle's response was always that we were not committing enough money to any of our campaigns. Be sure that you have the budget in place for programmatic. When it was sold to us, we were never informed about the massive cost per campaign that Choozle recommends. We are a small-time agency, and we share risk with any new product/channel that we deploy for our clients, so knowing how much we were expected to spend in advertising on behalf of our clients would have been valuable upfront. My ad agency was able to pitch the programmatic channel, hitting very specific audiences with Choozle, but we were only able to offer it as a very high-end solution, which was not appropriate for the majority of the clients we serve. "Easy to Use Platform, but Has Limitations"
The platform is easy to navigate and intuitive. They leverage the Trade Desk, which is an industry leader in programmatic display. With so many DSPs to choose from, we liked Choozle's platform because it felt right for small to mid-sized agencies. There are a lot of great targeting options and the ability to bulk upload creatives was a nice addition in the platform. Help resources are good; I actually liked how you are required to watch the "Choozle Academy" videos before you can contact support. Since we run a lot of B2B programs, the IP targeting is a nice feature when we are running Account Based campaigns. I'm not sure Choozle is the right product if your goal is driving conversions or leads from a digital campaign. We have never had much success with meeting a conversion or cost per conversion goal from Choozle campaigns. Conversion tracking functionality is not great either - event based conversion tracking is not possible, you need to have a thank you page in order to track. Geofencing is done through a third party and that means you cannot see the geofence targeting in the actual campaign. It requires a lot of trust that your campaign is targeting the right area. I have had cases when the Choozle click data and Google Analytics visitor data are nowhere near each other (Choozle is reporting far more clicks). This is concerning. Also, the support has worsened since we've been working with Choozle. They now have a minimum monthly spend for agencies to have a dedicated rep. Unfortunately we do not qualify, right now. Consider how important conversion tracking is to you. If you are more focused on brand awareness and driving traffic, Choozle is a strong option. If you are focused on driving users to specific actions on site, and then tracking those actions, Choozle is limited. Choozle allows us to sell display advertising to our clients. As a digital marketing agency, programmatic display is almost a must-have. We have seen the benefit of adding display as a complement to our other campaigns, such as SEO, paid search, content syndication, social advertising, etc. "Choozle Review for smaller agency"
I like the ease of building/loading creative and launching a campaign. I like the color guides to see how your campaign is pacing. I like that all of your creative is in a shared library. Really like the ease of adding new clients and the ability to cancel at a moment's notice. Has made it a good solution for event and one-time clients that wouldn't have the ability to run a longer campaign. I don't like that reports are done through automated ticket requests. That the platform is consistently down and that support can take up to 24 hours to respond and my campaigns do underperform and support says to raise the bid adjustment and spend over our daily maximum amount. Great starter DSP for your smaller clients. However, the ease of doing more advance campaigns seems a bit cumbersome in the platform. Training and a contact at Choozle is tough now that our rep moved away from the company and we have yet to be assigned another contact. Standard Retargeting. It's great for some of our smaller clients that can't afford large DSP monthly minimums. Thanks for taking the time to provide feedback on your experience with Choozle, it helps us get better! To offer a quick suggestion on the reporting, if you’re speaking to the detailed reports, if you navigate to the “export campaign data” button on the Campaigns page, you can directly download reports. Our team can also set up an ongoing email delivery of these reports if better also! Our response time through the Support Center is down to 48 mins so regret hearing that has not been your experience! While our team should always be keeping you updated on issues we’re investigating, sometimes that resolution time can go up if we do need to talk with other teams internally or partners unfortunately. You’ll also be happy to hear that a significant portion of our development resources are currently focusing on improving our Platform reliability as we continue to grow to ensure high quality of the system experience. In case our available resources weren't reviewed clearly upon onboarding, we do offer on-demand educational resources like the Choozle Academy courses, webinars, knowledge base, office hours, and of course if you have any questions, it sounds like you are already in contact with our CE team via the Support Center. Dedicated support reps are another option; let us know if you want to dig in more here. I'd be happy to hop on a call to discuss further if you'd like! My email is Rachel@choozle.com if so. The platform is user-friendly and easy to navigate. It's organized and simple for me to find what I'm looking for, set up campaigns, audiences and upload digital files. I have had a lot of glitchy-technology issues. My ads will take me several times of hitting "save" before they are actually saved. Also, the reporting platform could use some work. The downloadable one does not have all the features/data I need for my reporting purposes so I have to go through the Choozle Support email/ticket system to get a report, and even then it's a huge file that doesn't not break it down the way I want so I have to spend time in excel formatting the sheet to display the data how I need it. I used to work with Ruchi at Choozle directly and she knew EXACTLY how I liked to have my reports formatted, and she sent them to me that way which I really appreciated. I felt a loss of the personal touch and connection when I had to start using the ticket system to get my reports moving forward. And then they were are formatted differently that I needed. The ease of use is the best benefit. Choozle is extremely good at responding to issues and getting tickets solved asap. The features of being able to upload targeted emails lists, IP addresses, etc. has been GREAT for many of our clients that want to get specific with their targeting, especially as we're trying to reach the young millennial crowd and the Gen Zers. "Great Data Without Much Strategy"
The Choozle Insights provide information about your key demographics that give you a great starting point in regards to audience building. Age, income, education, interests - you can learn a lot in a hurry. Choozle can sometimes feel like a flood of information without a great deal of information about how to leverage that information for the best results. Choosing your audience can sometimes feel like shooting in the dark, hoping that your media reach will be effective. If there was a way to receive real-time suggestions for how your specific audience build could be significantly expanded if widened or changed by specific parameters, that would be a fantastic improvement. Choozle takes the work out of shopping for digital marketing opportunities with their set-and-forget ad buying resources. You can set your own rates, use your own artwork, and specify particulars for your campaign at a moment's notice. "The platform itself is solid- but customer services is excellent"
Customer service for sure. The team is really excellent and responsive. There are some reporting items we can't pull ourselves, but they are always quick to send them and set them up to continue to come weekly. Its very easy to jump on a call with our account team and get all our questions answered quickly. Some parts of the platform can be clunky, there are reporting features I wish we had access to, and also some sorting function when looking at campaigns, but they are always making improvements and are certainly open to hearing suggestions, so I think in time, it'll be better. self serve programmatic without high minimums. Also now testing some managed services for OTT. "Using Choozle for Programmatic Media Campaigns and Consumer Analytics"
The only thing I really disliked was the inability to directly integrate data from the Insights to build an audience to a live campaign 100% of the time. When it worked is was glorious but many of the Insights data sets were not directly available to build an audience and required manually searching the catalog for similar matches. Small dislike but a dislike nonetheless. I would recommend at least trying a small campaign with Choozle so you can introduce yourself to the product. It is very simple to use but there are small idiosyncrasies that separate this platform from others in a positive way. Once you have a handle on them you will be able to be very successful with this platform. Basically being able to effectively run an effective programmatic solution that doesn't require days to set up and implement. You literally just collect your targets, creative, and budget and let her rip! "Our Agencies Experience With Choozle"
There are a lot of great features to the self-service platform that we utilize with Choozle. The access to the many different data segments and the ability to integrate them quickly and easily into campaigns are certainly one of the features we benefit most from. The fact that they allow for third-party DCM tags to be utilized in campaigns is awesome too. I wish we had a better ability to project impressions and pacing for specific geos and zips. We run a lot of campaigns in the state of Maine, and it's hard for us to predict how many impressions are available based on the targeting criteria. If you want an easy to use self-service programmatic buying platform, I highly recommend Choozle. We are trying to solve the business problem of offering our clients access to highly targeted digital impressions across the web. We have benefitted by new and existing clients looking to us to place their digital advertising. I love that there are no minimums and the platform is relatively easy to use. We have an account manager at Choozle that helps us a lot with troubleshooting any issues, setting up conversion tactics, and just brainstorming ideas. It's hard to think of anything I dislike. The only thing I can think of is that the reporting that you can access within the system is pretty limited, which makes 'on the fly' optimizing a little difficult. However, we receive very detailed reporting whenever we request it and also get detailed reports automatically delivered monthly. As a marketing agency, programmatic advertising is a must. They offer a wide variety of targeting options and the process to set up a campaign is pretty straightforward. We also like that their pixels are within a 'container tag' which makes it easy to track a lot of different things while only requiring the client to place one tag. "Great Service for Self Serve DSP"
I have been very happy with the high touch service Choozle has provided for us as we have been getting to know their platform. The platform itself is very user friendly. Overall we've been happy with results and so have our clients. Not too many complaints at this point. When the platform is limited, your account people pick up the slack from there and let us know what our options are. I like the high service so we don't feel like we're using the platform without support. That is probably the biggest benefit to us. We buy on GDN, so it's nice to buy in a similar way on an actual DSP. "Excellent service, easy to use, a few issues but very responsive"
Chooze has been very easy to set up and use. The UI is clean and simple. The team has been very attentive and responsive, providing help and addressing issues that have arisen. There have been some glitches along the way with some of the controls. I've brought a few to their attention and they work to resolve them as timely as possible. In running video campaigns I have to monitor the placements to weed out poor-performing sites (although I'm sure this would be true with any platform). Choozle has provided our agency a great platform to utilize for our clients. 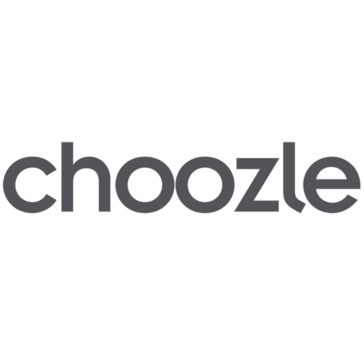 We had previously run campaigns through Google, but we're able to be much more cost efficient and with a higher level of control using Choozle despite a commission rate that initially concerned me. We run several video campaigns and some display static through the platform. "Strong & Easy To Use Programmatic DSP"
Choozle offers a great programmatic DSP with an almost unlimited third-party data library that allows users to find ways to target their audience easily. The service is fantastic and they are happy to help with any potential problems. The platform does not include machine-learning capabilities and, in my experience, conversion metrics have topped out at middle-of-the-pack for nearly all campaigns. Choozle, like other programmatic DSPs, solves the problem of reaching users online by allowing you to target potential consumers through third-party data at scale. "Great platform for small spenders"
The best part about Choozle is that there's no minimum spend, so it's great for smaller brands. The interface is difficult to figure out and support takes some time to respond (but they do respond). It's worth a shot because there's no minimum spend and the monthly fee is reasonable. I needed more display ad inventory and better audiences than were available through the Google Display Network, but I didn't want to spend as much as was required by other DSPs. "First Campaign Launch for In-House Account"
The ease of use with the platform. It is very intuitive and all you need to do is find the right data sets, drag, and drop into the audience field for creation. You do not need to assemble audiences from scratch like you do in some platforms, and have more control over your spend. Benefits are still pending as we wait for the complete and detailed report showing all the Tail Aggregate information. We are trying to solve the issue being able to highly target and focus our ad spend on putting our static image ads in front of decision makers on prominent websites using the data points from several sources to build our specific target audiences. "User-friendly platform, great customer support"
The platform is very easy to use, uploading/editing images is a breeze. If you need help creating/adjusting spend, the customer service team is fantastic. Creating appropriate and competitive campaigns can be a bit tricky for our market, but we've always been able to get help from Customer Service for our adjustments. Get to know your rep. They are there to help you get the most out of this product. Plus - they're awesome. We're reaching new demographics with Choozle. The overall ease of using the platform is great. For those that also use Google Adwords, this platform will be easy to manage and campaign set-up is easy. Would like to have capability to download Full Campaign Details through the platform rather than have to reach out to Choozle directly. However, will say that each time I have asked for a report, I have received it in less than 30 minutes, which is great. If you are looking to provide clients with small budgets the opportunity to utilize programmatic display within their campaigns, then Choozle is a great fit. Allows clients with budgets that don't meet monthly minimums with Ad Networks to utilize programmatic display in their campaigns. It opens up digital to more clients. The CPM's are lower, allowing us to stretch client budget further, in turn, delivering more impressions and clicks. Choozle provides an innovative way of taking a look at demographics and psychographics and actually making this data actionable, rather than producing interesting looking charts that don't actually drive marketing activity. Their support is also very responsive and the staff I've worked with have been friendly and helpful, but most importantly well informed. There are great benefits to either partial or full engagement with the Choozle team, and I'm very glad to be working with them! I'm not crazy about the way campaign payments are handled, but it just takes a little bit of planning and communication around what we're used to with Google AdWords, etc. This is more a reality of the marketplace than anything else - I have very, very little to say about Choozle negatively. Choozle is capable of servicing nearly every piece of the advertising cycle, so if you're looking for a full service option in this space, you've found one. Choozle lets me tap into a different network with different challenges and advantages, but it's been a real game changer for some of our clients. We're able to push towards specific audiences in a way we haven't been able to before in an easy to manage, sensible way that gives us control but does not burden us with individual day-to-day minutia in identifying specific advertising partners. We have a new service line, but it's our clients that have really realized the benefits in very real ways. "Great Low Cost Programmatic Platform"
Very simple interface, easy to use controls for targeting, allows for email or IP list targeting, low fees. Also allows for small campaign budget sizes which is very useful as an agency trying to serve a wide variety of clients from small to medium size. Reporting is very simplistic, no ability to white label reports if you are an agency. Advanced reporting is available but only weekly by XLS by special request from their Support team (which is well run and responsive). Great for simple campaigns and small budgets. Really nice to have the IP targeting capability at this price point combined with super simple interface. A good no nonsense platform for getting into programmatic without breaking the bank and being able to control it yourself. Low cost programmatic IP list targeting. Running small campaigns for many clients as an agency. "Self Service platform with Managed Service style customer care"
Having Choozle's multiple options for targeting via data, contextual, CRM, IP, and more all in one platform really make using it ideal. The fact that any of my questions are answered almost immediately is a huge benefit. Best service available at a pricing structure that is unparalleled. Taking buying in-house has provided us with greater control over media programs and created a new revenue stream for our company. "It's the people that make the technology a success!" It's been a pleasure dealing with the folks at Choozle. Good timely support worked very well for us and kept us coming! This is a great team and a good tool if you're doing awareness campaigns. When it comes to performance, the need for control comes in and hence using this tool becomes a bit difficult. Small buyers don't get access to DSPs. It's a big industry issue and Choozle helped me by providing access to trade desk. I like the level of customization you can get with your targeting - down to email and phone number. The service level is excellent as well - very detailed and fast responses. It would also be nice to load in custom fonts for HTML5 creatives. The ability to run ads to individuals via email in specific countries for better ROI on ad spend. "Great product as a "starter" DSP"
If you are new to programmatic display ads then Choozle is a good place to start, especially if you want to test the waters with a low budget. I appreciated how easy it was to implement their tag and get going quickly with my initial campaign. You can get up-and-running in an hour, including the length of time it takes to work through their on-boarding documentation. Analytics seem somewhat limited, although you can upgrade your account for deeper analytics info. Customer service was prompt, although sometimes a little confusing. Try it if you're interested in deciding if programmatic display advertising is right for you. We wanted to try out programmatic display advertising for the first time. We wanted to use a limited "test" budget before going all-in. Choozle was a good platform to do exactly that. We have since moved on to a more robust platform that offers more in the way of analytics and has a more intuitive interface. "Easy to use interface. Good Customer service"
The user interface is very simple and easy to use. You have the ability to use many forms of targeting as well as using your own CRM data. Customer service was good. You submit questions through a ticket system and the reps are quick to respond and willing to set up calls to discuss more detailed solutions. Detailed reporting is delivered separately so some optimizations like site targeting are a little more difficult to do in real time. It was also hard to pace the campaigns as we saw a lot of fluctuations in traffic. After our first campaign we had a much better idea of how to set it up for future campaigns to make optimizing a little easier. Having a bulk feature for loading ads would help as well. Programmatic solution for advertisers. We use several networks for display buying and use our own data to target the ads. Thank you for the feedback! Just want to let you know that we recently rolled out an upgraded Creative Library, complete with bulk creative upload! The bulk upload feature will save time and frustration uploading creatives, and (in our humble opinion!) was a really nice update to the platform. If you've checked it out, please feel free to share any feedback. "Great starter platform for individuals or agencies"
I appreciate that I'm able to get my clients, regardless of size, on some of the same sites as other networks, without huge minimums. Also allows for some small-scale audience testing via the additional data and audience targeting. Would love to have more granular reporting. While nice, it tends to be at too high of a level for me to find meaningful insights. I tended to rely more on other platforms for the reporting data. It's a great little tool with a wealth of data available, which allows you to mix-and-match to target just the right audience. An easy-to-use platform which enables us to get clients up and running with display fairly quickly. Particularly nice for those clients whom are not as experienced with display, or want very refined data-sets used in targeting. "Choozle is a great all around Programmatic Platform"
It's a very well rounded platform that gives us everything that we need, but it's also really simple to get started on. No minimum budgets means that it's a great platform for brands that want to test the waters before going all in. They are doing a great job evolving the product to add relevant capabilities in a timely way. The educational resources are great and getting better and the sales and support team are fantastic! As other people noted the way that campaigns are billed ahead of time. The only thing I worry about is that it feels a bit like there's a cash management crunch, which if you are scaling on this platform might be a little worrisome. It's just something that you have to manage yourself between how you are billed and how you bill your own clients. The datasets are super-pro, the data brands are top notch and the ability to reach very tight audiences is important to us. "Powerful, Easy To Use Digital Advertising Platform for Small & Medium Businesses"
We use Choozle for our small to medium sized business clients. It delivers the same data sets and capabilities as the trade desk and other DSP's, but it is incredibly easy to use, and has a price point that is acceptable for nearly any business. We also love Michael Fischer and the sales and customers service team. They are top notch!" Having to upload individual banner art files. Also that there is no map function for selecting target geography. Targeted digital advertising campaigns for small and medium sized businesses. Thanks so much for the feedback! Just want to let you know that we recently revamped our Creative Library, and it now includes a bulk creative upload feature! As a current client, you might've already had a chance to play around in the Creative Library, and if so, please feel free to share any additional feedback. Choozle is extremely user-friendly and opens the curtains on programmatic display in terms of campaign building, audience targeting, and creative performance. Excellent customer service with a knowledgable team ready to assist in campaign builds or in-depth audience targeting. Detailed reporting was difficult to access outside of reaching out to your account rep, but the platform has since added full reporting as a downloadable report. Having it as a module in the platform instead of a download would only increase Choozle's value to our team. Unlike other self-serve platforms, Choozle has a robust library of resources, along with a dedicated staff of customer service representatives ready to answer your questions quickly and efficiently. We are able to self-serve programmatic display and video, which allows greater transparency with our clients during their digital marketing campaigns. It's a powerful extension of our paid advertising services. "Choozle is our #1 Partner in this space"
We truly value the relationship that we have with the Choozle team. They understand our client's business, and help us achieve our ROI goals. Ultimately, we just want to know that our efforts are working, and with Choozle we have all the confidence in the world because of the results. The platform is easy to use and understand and I think it's because of that simplicity that it performs so well. Honestly the only thing is that we would love to see creative performance reports in the interface rather than asking for them. We are looking to expand beyond Google display network for our client's show them that there are great results possible from other platforms that have solid partnerships with quality sites outside of Google. Choozle has a vast selection of targeting options, from third-party data to very specific geotargeting lists. We have generated a few leads from creatives before they were actually uploaded to a campaign. In addition, reports that we download are very long and too large to manipulate much. If you plan to spend less than $10k on the platform, it will end up being very slow with multiple problems when uploading creatives, and no way to do things in bulk with ease. Choozle will give special treatment to anyone spending over $10k. We needed a programmatic platform with various targeting options. With Choozle we can have all of our display campaigns in a single platform, helping increase visibility and make management easier. Choozle is very easy to use in terms of building and managing campaigns. Our team was easily able to train and get campaigns up and running. We work with a variety of industries, and have been pleasantly surprised at the breath of targeting options. Our biggest complaint would the Ad builder, which could be more seamless when bulk uploading. Not being able to duplicate and edit audiences is also huge frustration. It would be nice to duplicate and audience and make small tweaks instead of start over every time. It is quite easy to test the tool with a small investment to see if your team should use the tool. I'd definitely recommend trialing for a month. Being able to build a "trade desk" from our small media team, giving us stronger management over campaign success with cost efficiencies we can pass on to clients. "Easy to Use, Great Service!" Choozle customer service. They are there when you need them to solve any problems. Reporting. The only way to get robust reporting is to request it. The platform itself provides minimal statistics. If you want an easy to use choice for programmatic advertising, this is it. Programmatic buying can be a maze when dealing with multiple DSP's. Choozle provides an easy to use interface. "Intuitive Advertising Platform for Display/Native/Video"
Choozle is very easy to use which makes campaign activation quick. Lack of optimization within the platform. Need to request HD reports to fully understand campaign performance. Choozle offers excellent customer service to our agency. When we are stretched thin and need extra help our Choozle account team steps in to help with research, campaign launches, etc. no questions asked. Positive campaign results and overall cost efficiencies associated to campaign performances. Slow and glitchy user interface; setup process doesn't have a guided process. Really educate yourself on the platform because setup requires a lot of jumping back and forth between views and what not. "Has been a really good experience." Easy tools to setup campaigns. Excellent tech support when needed. Not much at this point can I think of that would be worth noting. Brand awareness primarily. I run a restaurant to there is really no call to action in my ads but rather informative about what we offer. "Gets the job done, could be a little more user friendly." It basically manages itself. Customer service is always on point and they answer my questions super fast. Not very user friendly and takes a while to learn all of the features. Created multiple retargeting campaigns for clients. "great customer service and excellent platform"
Most importantly, I like the people behind the platform. I trust them, they are responsive to my needs and they help me achieve the results I need. I don't have a dislike. If I had to name one, it would be lack of in-person learning vs. online with choozle academy. i'm a physical learner; not so much online. Easy of doing business, instant access to campaign dashboards, results and actions. I like the data of the programmatic and the easy viability of reading the data. It's annoying to have to set up every little thing before you make the campaign. There should be a way to easily duplicate then change out creative, rather than uploading it to a library first. It's cost effective and can pay on a month-to-month basis. We've realized the benefits of the data that can help target our consumer's display advertising better. This digital platform is an easy and effective tool to market our clients on the web. All customer services for the platform are communicated with email or website ticket submissions. Try it and see for yourself how easy it is to set up, manage and get amazing results. Helping our clients target their audience with digital web marketing campaigns. With the right message and placement, it has been an effective lead generating service. The tool itself is east to use and the list of data providers is extensive. Reporting and Conversion module is very poor and non-existent respectively. You have to submit a ticket for comprehensive reports (?). But, the worst is the people that work there. It seems the company is being run by an amateur group of sales people. They think that because they have an OK product they can completely ignore their customers. We made a big effort to sell the tool to our clients, when we finally started onboarding some of the brands we manage, we started seeing some small problems with the tool, granted it can happen, but what really scared us was the inability of Choozle to respond and actually help us. And not only that, we also started getting charged fees out of nowhere. When we approached our rep, as well as other people from Choozle including the "Director of Client Success" (LOL), they completely ignored us. We had no choice but to leave the platform, although we really saw the potential, is very scary to partner with companies that don't care. Don't do it. At least until you have the assurance that they will provide you with the correct and minimal support. We are not using the tool anymore. Very bad experience. My name is Rachel Mimken and as head of Customer Experience, we sincerely regret you had such a dissatisfying experience with our platform. - Reporting for all standard metrics is available directly within the platform. Only the detailed level reports (fold, dayparting metrics, etc.) are available in a scheduled email format due to delays of that data being aggregated from the exchanges and delivered to us. -Our apologies that any fees were unclear. We never want clients to feel they were not aware of charges after signing up. My team works with our sales folks to educate on any possible fees in order to set good expectations with pre-sale clients so I appreciate the feedback here to help tighten this up with all client-facing Choozle employees. If you would be open to speaking, I'd be glad to hop on a call and at the very least, hear your feedback. Please feel free to email me at Rachel@Choozle.com to set up a time. The ability to reach many advertising services from one application provides great value. Rather than using multiple services to get on more ad networks, you can simply rely on Choozle. The usage fee for the service was only $99 monthly and the rest of my budget spend was directly used for ad space. More visibility on where my ads were being displayed would have been helpful. Once setup we saw an immediate spike in website traffic that remained consistent while ads were being served. "A strong programmatic marketing tool"
Choozle provides self-managed access to multiple DSP that is optimal for both our large, small and non-profit clients. Cost efficiency is ideal in our media spends with goal is to reach as many people as possible at specific frequency. Choozle provides planning insight and frequency limits to ensure we're delivering on aspects of the campaign that we're preaching. "Amazing Platform That Offers Unlimited Access For Digital Marketing Needs"
The best thing about Choozle is that offers unlimited access to both publishers and data sources. Whereas Facebook and Google offer their own data for targeting and a limited (if still large) network of sites to advertise on. Choozle offers access to both Facebook and Google's data sources and network of sites, plus data from Experian, Blue Kai, and many more as well as the full breadth of the internet on which to advertise. The easiest way to run campaigns is to set them up for only a month a time which can be a slight hassle. Choozle helps us reach tough B2B marketing segments, keep costs down for our advertisers, and distinguish ourselves as a leading digital agency in our market. "Great Platform. Questionable Results. " Their customer support is fantastic - very helpful and willing to jump in to help solve problems big and small. The platform/UI takes some getting used to, but eventually, I came to like it. The built-in 3P audience catalog is great - easy to navigate and has everything you'd ever need. It seemed like the quality of the traffic/clicks was not great. Running low-budget campaigns, it's possible we were getting routed through less reputable exchanges. Would not recommend at small scale. Try implimenting with at least $5-10K/month budget. Less is not worth it. I like having a low-cost, low-minimum DPS with a built-in audience data platform. "Perfect balance between easy of use and powerful functionality"
Choozle has excellent customer service — their team is extremely responsive and helpful! The platform is fairly simple to use and easy to teach others. You can get a campaign up and running very quickly. Ad hoc optimizations can be difficult since reporting is somewhat limited in the platform — especially if you have many campaigns running. We are trying to fill the funnel and Choozle helps us start that process with generating broad awareness. We are also improving efficiency and optimizing towards our revenue goal that has been set for us. "Choozle - A Great Option for Programmatic Display"
The best thing about Choozle is the people that work there. Our account rep was always available to help us and provide insight, while also giving us room to dive into programmatic buying on our own. Choozle allows its users to get as much or as little help as they need, from planning to execution and everything in between. There are a few UX issues in the interface, as well as lack of bulk uploading options for some things that were slightly frustrating; however, Choozle is always evaluating and rolling out interface improvements. We needed to have more control over our display media, to ensure quality and efficient spending. Choozle allowed us to move away from traditional publisher buys, run our own programmatic campaigns, and realize more efficient and effective display spend. Thank you so much for taking the time to provide feedback! We are always looking to improve and upgrade the Choozle platform, so we've overhauled the Creative Library. The new Creative Library now offers a more streamlined experience and includes a very easy-to-use bulk upload feature! If you have a chance to check it out, please feel free to share any feedback. "Great Self-Service Programmatic Buying Platform"
We love the ability to create custom audience using the many different data targeting segments. Additionally, we really find the ability to integrate third-party ad tags to be extremely valuable. I continue to wish that they provided greater capabilities around projections / forecasting. I think it makes planning campaigns difficult when we don't know the overall audience size. Extremely easy to set-up and deploy. The Customer Service team is awesome. We are providing all our clients with highly-targeted, customized digital campaigns, utilizing both video and banner assets. "Choozle is Our Go-To for Programmatic Display"
Multiple clients looking to gain new online customers. Choozle's remarketing campaigns provide us with great conversion volume and act as a great compliment to our Google efforts. * We monitor all Choozle reviews to prevent fraudulent reviews and keep review quality high. We do not post reviews by company employees or direct competitors. Validated reviews require the user to submit a screenshot of the product containing their user ID, in order to verify a user is an actual user of the product. Hi there! Are you looking to implement a solution like Choozle?